There are lots of exciting events coming up in the mall this month! 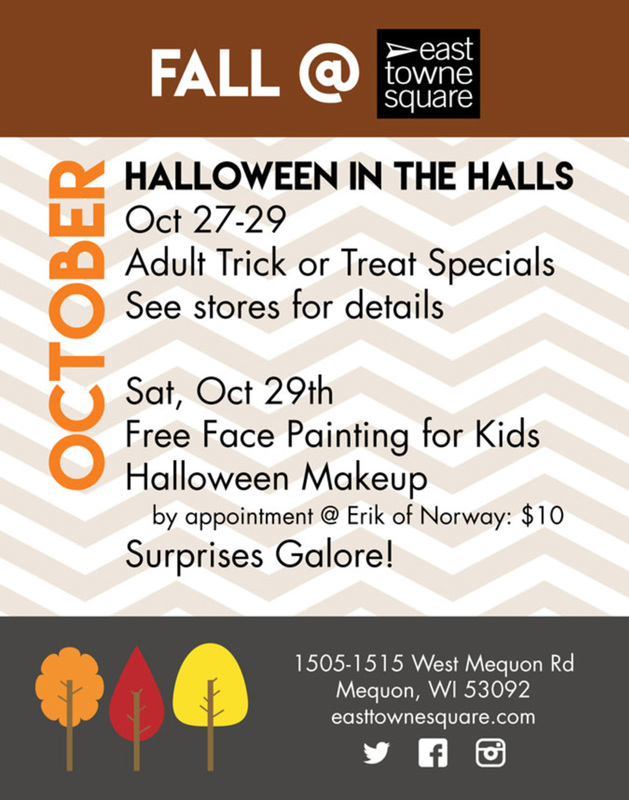 Adult Trick or Treat, kids face painting and lots more. Adult Trick or Treat: 25% one item, see East Towne Jewelers for details on our discount.